Five pointers for giving kids an allowance. Giving kids an allowance is a time-honored tradition as old as, well, having them make their beds or set the dinner table. But it turns out that for many of today’s families, the ritual of giving an allowance can create a lot of stress and apprehension. A recent field study by Kidworth.com found few parents actually give their children a steady allowance. However, most financial and parenting experts agree, an allowance is a healthy way to give your children financial skills that endure through their adult lives. Don’t tie an allowance to doing chores. This instantly turns allowance into a power struggle— something parents have enough of already. An allowance should be an independent stream of income used as its own learning experience, helping kids to manage money and decide what to do with it. Start at the right age with the right amount of money. Most experts suggest $1 for every year of a child’s age. So a 5 year old would get $5 a week. 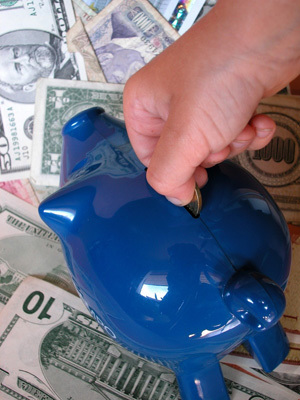 As a guideline, kids ages 5 and 6 can start to grasp the concept of saving and spending money. Those ages 7 to 12 are in the sweet spot for starting healthy financial habits; they want to buy things and are becoming increasingly good at math. Encourage kids to have short-term goals, such as saving for candy, toys, games and DVDs. Also suggest some long-term spending goals that you know will come up, like saving for electronics, a bike and expensive clothing. Use an allowance as a teaching opportunity. Let your child pick a charity to donate to every few months. Start a college or private school savings account that kids can contribute to. Even if it’s only a small portion of money kids need for a donation or savings, let kids feel what it’s like to put aside for these important life goals. Money guru Warren Buffett says he bought his first stock at age 11. You can never think too big. Develop a system and stick with it. Some people use a three-jar method for saving, spending and donations. Others have bank accounts. If your family is comfortable with using the computer to log savings, consider starting spreadsheets on a computer desktop with your kids or look into online programs that make the process a cinch. The most important thing to do is to take an active role in your children’s financial understanding. When approached correctly, allowance can be a positive partnership among you and your kids. Michael Weiss is the content developer for Kidworth.com. Based in Los Angeles, Kidworth is a company focused on financial goal setting and achievement for the “cradle to college” crowd that uses technology and social media to help a generation identify, set and fulfill worthwhile financial goals. For more information, visit www.kidworth.com.